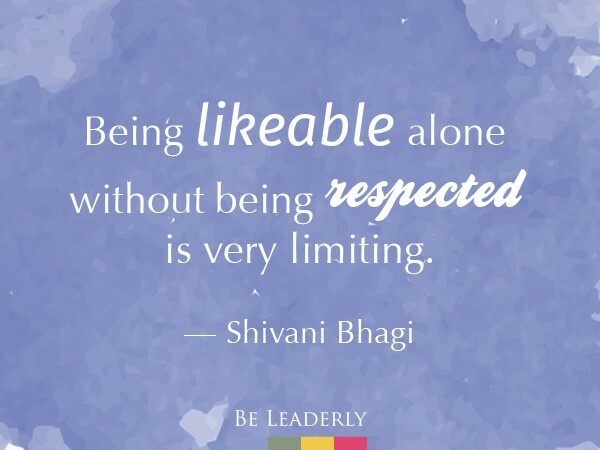 “If you don’t believe in yourself, respect your own decisions or stand by your own values, no one else will and that’s the quickest way to lose respect even if you are a likeable character,” writes Shivani Bhagi for Huffington Post. Your goal is not to win a popularity contest. “Being likeable alone without being respected is very limiting when it comes to career progression,” says Bhagi. When it's Not You, it's Them.